It doesn’t seem so but it’s been a while since my last hair update! I usually do them when I chop my hair, but this is a different one because I’m keeping my hair this not too annoying mid-length a bit longer and, and I’d never thought I would have ever said this, I’m trying to embrace my natural hair texture. What? I know, I’ve always complained about my hair looking flat and plain, but I’m finding that adapting my hair care routine slightly and using the right products, I can wear my natural hair (without involving any iron as well) on a daily basis! 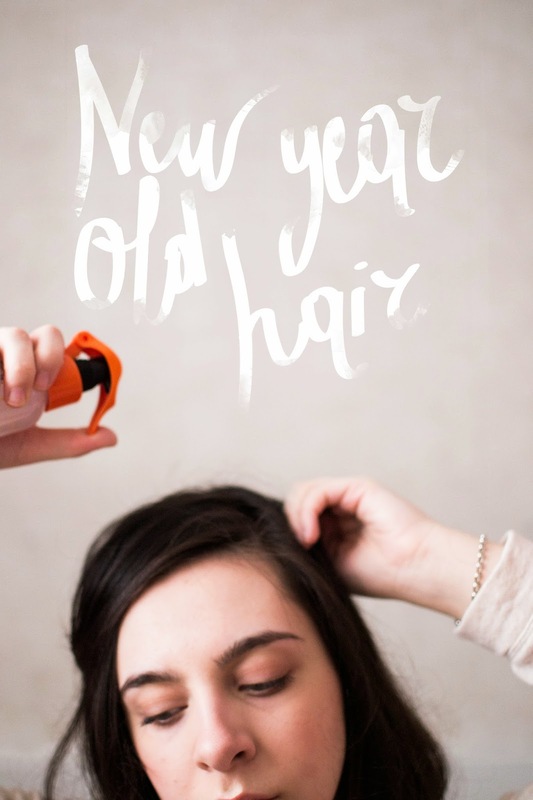 Like any other hair update, the usefulness of these words might be highly dubious, but maybe some of you have very flat boring hair as much as I do and live a complex relationship with their locks, then maybe this post can inspire someone to start this new year with a different approach to their hair! 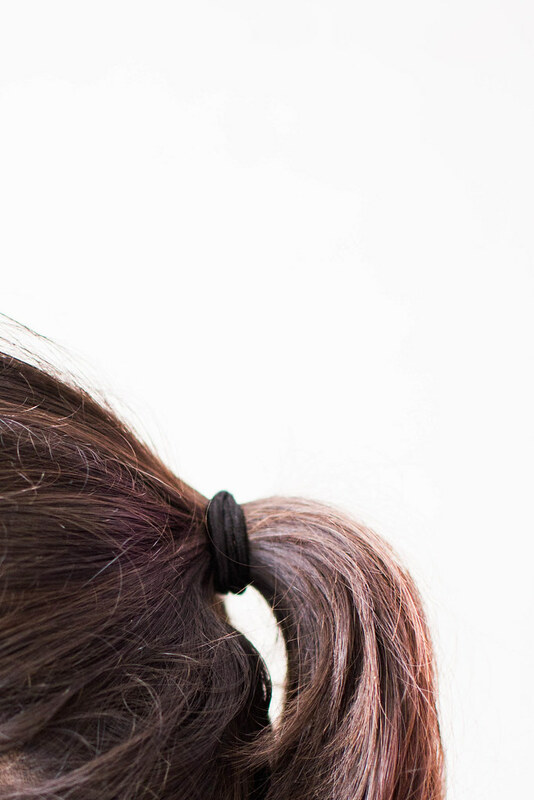 Coming to an age of 22 of having very oily hair, I’ve never jumped on the leave-in conditioners bandwagon, as I’ve always thought anything you pile on your hair after washing it will make the oiliness appear faster. This is also why I go from being over excited to try a new volumizing spray or any other leave-in hair product, to just stop loving them after one use. Most of times trying to achieve a more voluminous style is not worth the hassle to me, but this was before I tried anything salt infused! 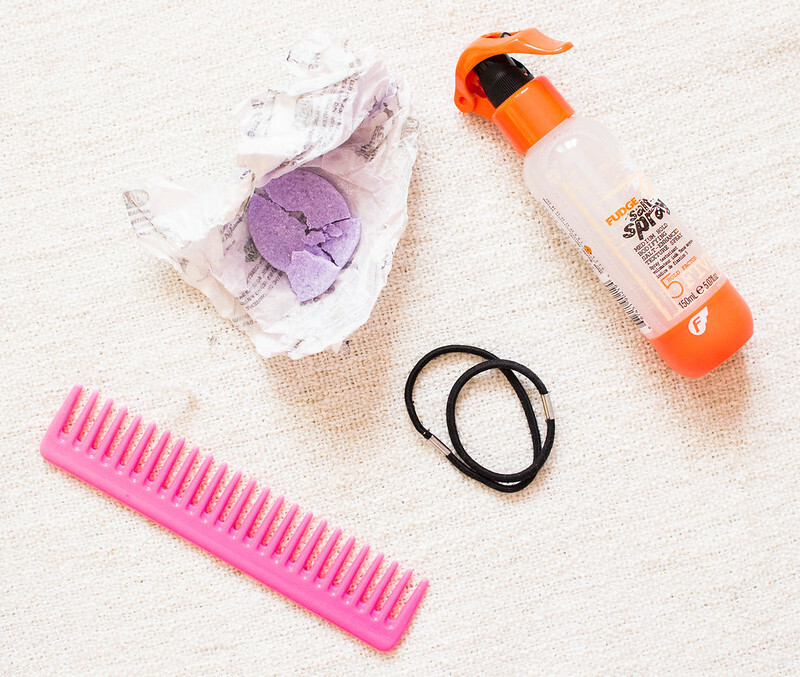 I’m using the Fudge Salt Spray lately and I’m reckoning that salt acts at drying up my hair scalp a tiny little bit – which is actually a sort of miracle for one with oily hair! 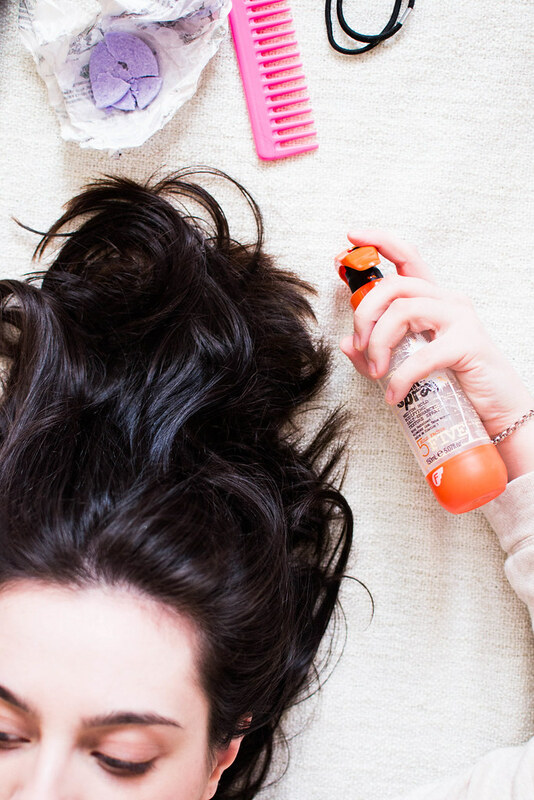 – and this means I can spray a leave-in product that actually helps at volumizing and texturizing my locks without worrying about how horrifying my second day hair would look, as it would look fine! Pretty awesome, right? 1 :: I wash my hair with miraculous Jumping Juniper shampoo bar by Lush (an ode of which can be found over here) and no conditioner at all! 2 :: I spray a modest amount of Fudge Salt Spray around the root area and a bit more also on the ends – beside from smelling amazingly coconutty, it not only adds a bit of texture, but also offers UV protection and conditions your locks in the meanwhile! 3 :: I use the hair drier on low until my hair is 90% dry. 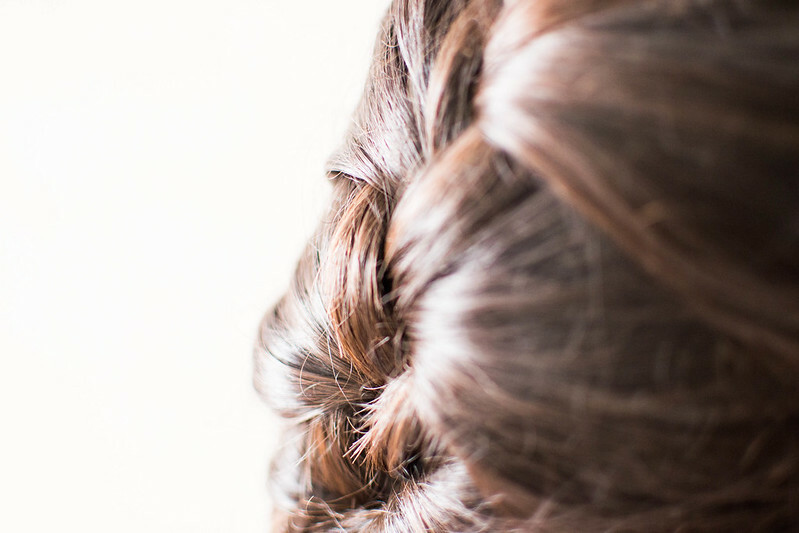 4 :: I braid it up into a loose and messy french braid and keep it there as long as I can – but even half an hour is fine most of the times! It gives my hair a bit of texture and added volume. 5 :: I spray the Fudge Salt Spray on a second day hair too if I feel it needs more body! Un leave-in districante e nutriente a me serve per forza, a causa dei capelli tinti… però lo utilizzo solo sulla parte finale delle lunghezze e sulle punte, per cui la “testa” mi rimane pulita… stessa cosa che faccio per il balsamo durante la doccia, comunque. Gli spray al sale marino mi interessano, per ora ho il surf spray di BB ma tende un po’ a seccare quindi non lo uso tanto spesso. Love this!! I am going to have to try that Lush stuff as well as the spray!! I JUST went to Lush though so I am going to have to wait a little bit. Haha. Thanks for sharing!! !